Feb 12, 2015 OnTheSnow--Want to step ahead of the game and see next seasons newest additions? 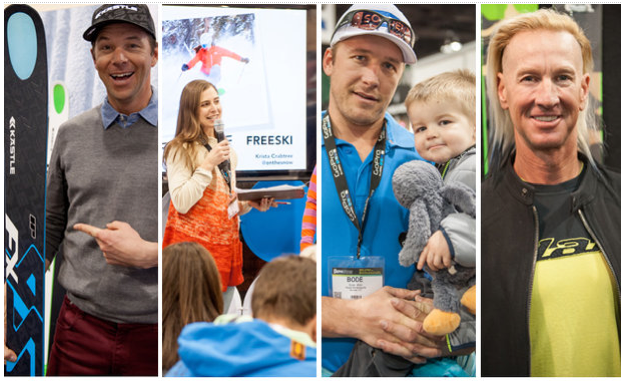 At the SIA trade show OnTheSnow got the latest scoop on the newest trends for the 2015-2016 ski season. Feb 12, 2015. AA. Ever wanted to go skiing for a weekend or for vacation but realized all the stuff you had to buy in order to do it was way overpriced. Ski lift tickets are already expensive, so why would you want to pay for ski pants/jacket/goggles etc if you are only going for a weekend? This is what Julian Flores, founder of GetOutfitted, exactly though too. GetOutfitted allows you to rent ski gear for the amount of time you need it and allow you to return the gear with a pre-paid bag to the front desk of your hotel. Flores reports saving his customers $300. 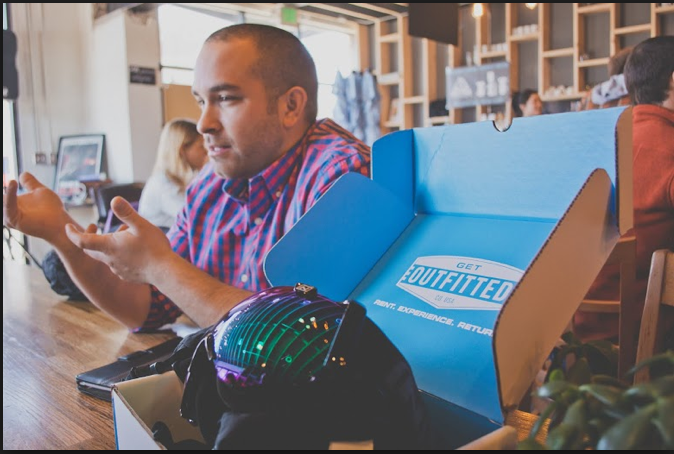 If you would like to learn more about the story: http://www.colorado-collective.com/stories/2014/3/2/get-outfitted-providing-rental-gear-disrupting-an-industry . January 25, 2014. Sports bars and restaurants can entertain their patrons with breathtaking action sports footage and sell the daily special at the same time. 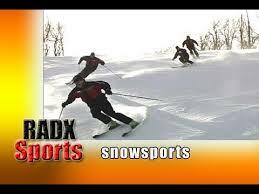 Gerry Pallor of RadXSports has videoed action sports for 12 years and uses his professional sports footage to create a sign-based communications environment. The action footage is used to attract attention to the screens and once the viewer is watching, the venue promotes their specials such as foods from the menu, or drawing attention to their catering. 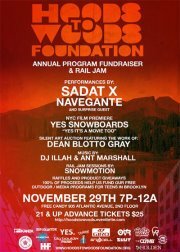 (November 26, 2012) -The Brooklyn-based" Hoods To Woods Foundation" will be hosting their first ever fundraiser on Thursday November 29th at Free Candy in Downtown Brooklyn, New York. Hoods To Woods is a 501c3 youth development organization whose mission is to promote awareness of the outdoors to inner city children through year round activities such as snowboarding, rock climbing, camping, hiking and more. The program utilizes environmental awareness, writing and the use of new media tools to provide youth the opportunities to document their experiences in order to build confidence and facilitate individual discovery. The event, which is to raise money for the organization’s youth snowboarding program, will feature an indoor rail jam, music, art and a celebration of snowboard culture. Famed Hip Hop artist, Sadat X (Brand Nubian) will headline the show, while Brooklyn, based duo, Navegante fills out the bill. A silent art auction will also be held featuring the photography of Dean “Blotto” Grey. The event runs from 7pm to Midnight. Free Candy is located at 905 Atlantic Avenue, 2nd Floor. Advance tickets can be purchased via Eventbrite by going to https://hoodstowoods.eventbrite.com. Oct. 3, 2012, 8:44 a.m. EDT OBERHOFEN, Switzerland (AP) — The International Ski Federation says organizers have cancelled a Snowboard World Cup scheduled at Stockholm on Nov. 17 "due to economical reasons." 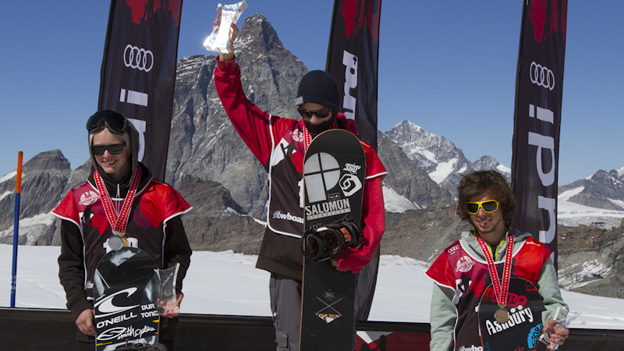 Snowboarders start earning points at World Cups this season to qualify for the Sochi Winter Olympics in February 2014. It's the second Big Air event lost from this season's World Cup calendar after the London stop on Oct. 27 was cancelled last month for financial reasons. FIS says the British and Swedish ski federations hope to return to the World Cup schedule next season. May 1, 2012 - Having trouble finding a jacket that fits? Looking to create a jacket of your own? 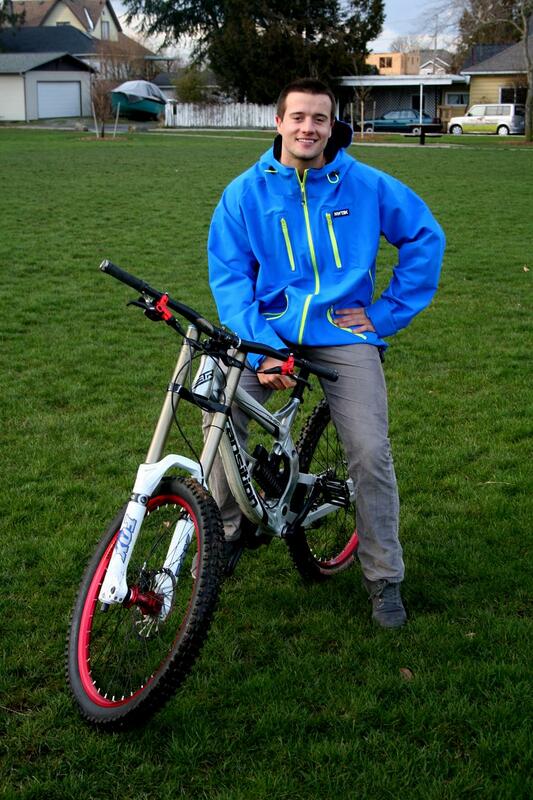 Western Washington University student, and action sports enthusiast Nick Marvik runs a startup that lets you do just that, create you own custom ski and snowboard jacket. At Northwest Technical Outerwear, every jacket comes with a story, customized entirely by you. No longer will you run into riders on the mountain with the same jacket, we all know how that feels. -G.W. 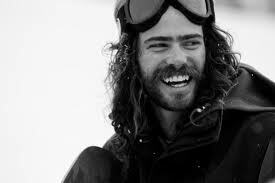 November 30, 2011 - PR Newswire - Mountain Dew and Burton has partnered up to create Burton’s 2012-2013 outerwear line. They are cooperating efforts to make sustainable fabrics out of recycled plastic bottles in hopes that it will change the way outerwear is currently made. Danny Davis, who rides for Burton and Mountain Dew, believes that this partnership “is just a cool way to help the environment, and it's good to see both companies working together to reduce and reuse some of their materials”. -G.W. Christy Sports, one of North America’s biggest ski and snowboard retailer has recently partnered up with Skiset, Europe’s largest rental network, to create the Christy Sports Rental Network. The integration of these two companies will finally allow skiers and snowboarders to rent high quality equipment at a low rate through their online reservation system. 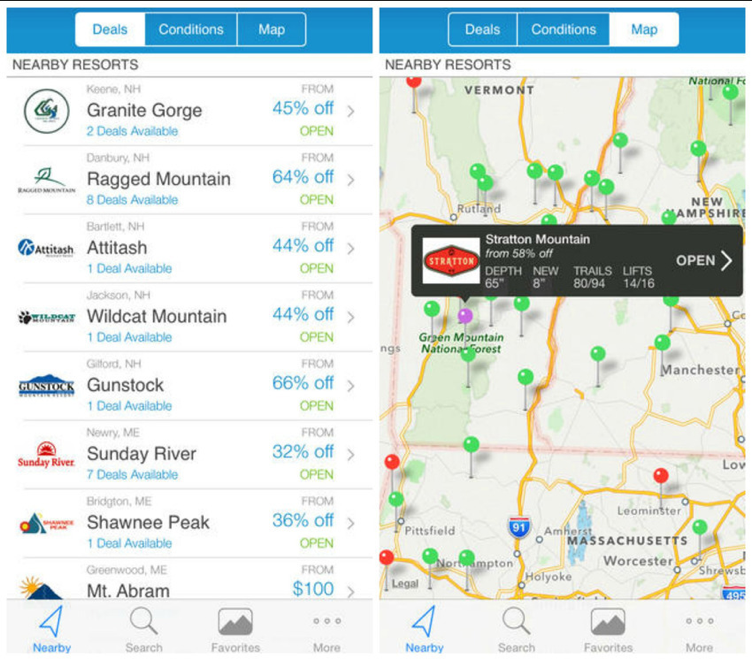 With more than 120 rental shop locations in the US and Canada and 800 worldwide, customers have convenient access to quality ski rental packages where they want to ski or snowboard.–G.W.